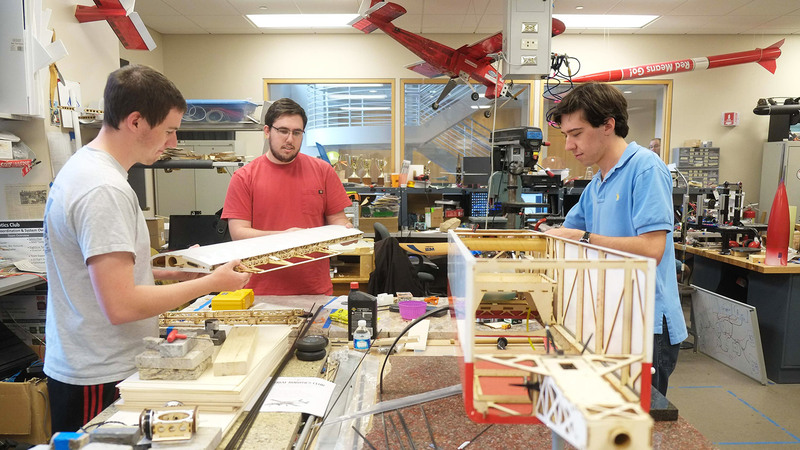 The College of Engineering has the resources you need to excel, inside the classroom and out. 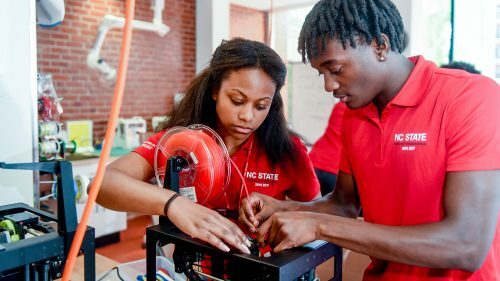 Whether you’re on campus or off, if you’re a current engineering student at NC State, the wealth of support services and opportunities at your disposal will help you get the most out of your experience. We’ve got world-class facilities. We’ve got programs to help you build your skill set, your resume and your network of peers. We’ve got gateways to scholarships, financial aid and internships. In short, we’ve got what you need to succeed. 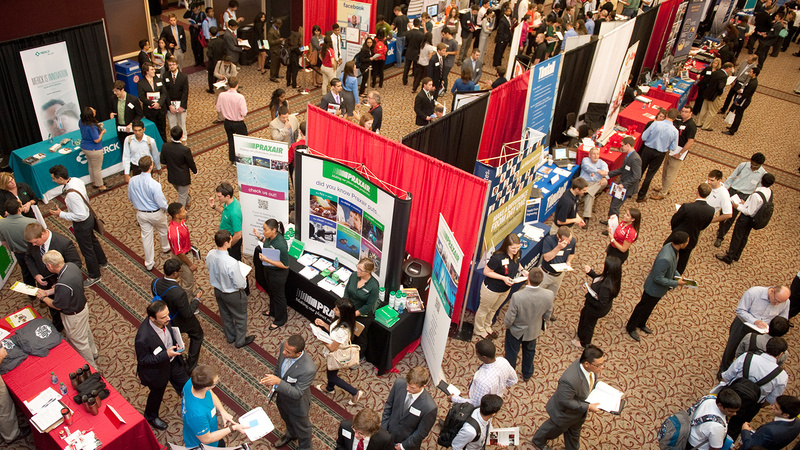 Twice a year, our fair connects recruiters from more than 200 companies and agencies with our high-achieving students. We’re forging a more diverse engineering workforce. See how we support students from traditionally underrepresented groups. With more than 80 groups formed around engineering topics, you’re sure to find a group that shares your passions. Study at the library of the future. Keep up with events in the college. 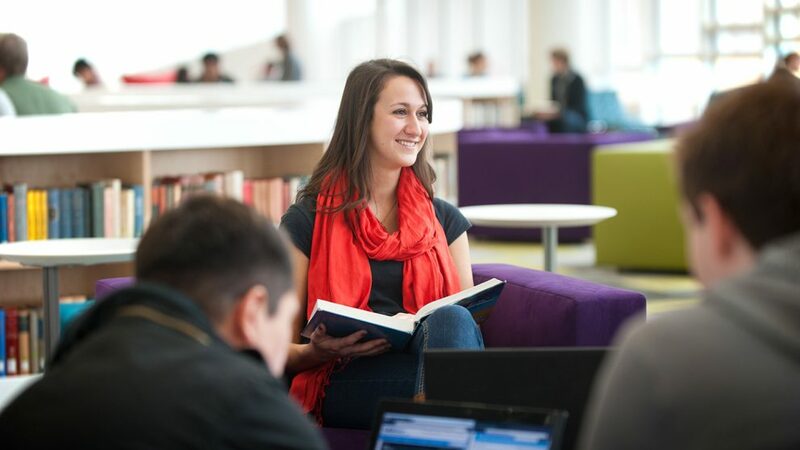 Learn more about declaring your major. Stay on track toward graduation. Find sources of financial support. Find internships and entry-level jobs. NC State’s College of Engineering is in Raleigh, N.C., one of America’s best cities in which to live and work. North Carolina is known for its mild weather, vibrant culture, high-tech hubs and top amateur and professional sports teams. 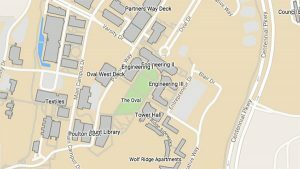 The NC State campus is minutes from Research Triangle Park, one of the nation’s leading technology parks with agribusiness, biopharmaceutical and technology leaders such as IBM, Cisco, BASF, Bayer CropScience, Biogen, Fidelity Investments and GlaxoSmithKline. Situated near the center of North Carolina, our campus is also a few hours’ drive from both the Blue Ridge Mountains and the beaches of the state’s storied Outer Banks. Visual and performing arts programs for and by students across campus. Recently expanded, this is one of the leading art museums in the American south. The state’s most-visited museum features work by NC State faculty. Raleigh’s home for live music, theater, ballet, opera and more. Every October, the fair puts the best of North Carolina front and center. With 23 Division 1 varsity sports, the Wolfpack competes at the highest level. Take to the field (or court) yourself in one of NC State’s modern recreation facilities and programs. The 2006 Stanley Cup champions share a home with the Wolfpack basketball team. The RailHawks bring professional soccer to the Triangle. The Tampa Bay Rays’ AAA affiliate plays just a short drive from the NC State campus. Raleigh is rich with parks, athletics facilities, lakes and natural preserves to explore. Read and share the latest news from the College of Engineering. Our newest research, events and accolades, in 140 characters or less. See what life is like across our world-renowned college.